An army of 50 students of the University of Johannesburg’s (UJ) Department of Architecture together with an organisation called “1:1” (one to one) Agency of Engagement will be out in force in Slovo Park as part of an innovative community outreach initiative to provide the community’s children a safe place to play and escape from the harsh reality of this informal settlement. The students will spend five days building a 150 square metre, tangible, sustainable, eco-friendly playground for the children of Slovo Park, an informal settlement bordering Eldorado Park and Soweto. 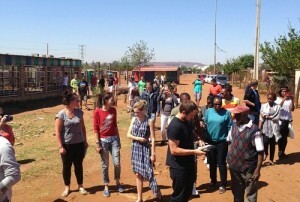 The students visited the settlement where a highly organised community forum allocated the space for the park. It is clear from the mapping that the children of the settlement have no place to call their own and play safely in this dusty and hot precinct. The students were able to learn what play elements children like, when they played, how often, and what aspects they could incorporate when they build a playground. The information was influential in developing designs for a playground. Based on their visit, the students identified the obvious benefit of building the playground in a location that is accessible for the whole community and easily visible, promoting supervision. The students were prompted to use their design skills to seed ideas for improving safety for the children and better use of space. The students took their action research back to UJ’s design studios for a facilitated creative response to the needs and issues witnessed by them at Slovo Park. The students’ research and ideas were presented to the community and other stakeholders. The panel considered ways to make these ideas a reality as part of a community outreach initiative and the panel selected three designs. These designs were incorporated into one design. The playground uses an existing broken truck as the design generator and is complimented by a tyre mound and concrete “hop-scotch” element, two-tiered seating for informal soccer and some landscaping to soften the environment and create shade from the pelting sun. 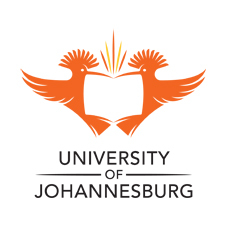 ““It’s pretty amazing,” says Mr Denver Hendricks, project leader and UJ Architecture lecturer. “It goes up quickly when you have so many volunteers in place, but it really takes some time for planning. We are a teaching institution, so our main objective is to provide a hands-on teaching component for our students. But, as in most professions, there is also the necessity to serve a public need. This initiative, however small, is doing exactly that. The students are getting real-world experience by assessing, evaluating and designing concepts that addresses a specific need. They learn about their future profession and in the process make value contributions to our surrounding communities,” he says.